ASTANA – The Kazakh Ministry of Culture and Sports has allocated 100 million tenge (US$319,400) for the first stage of reconstructing the ancient settlement of Saraishyk, reported Tengrinews on Apr. 3. “After the construction work, where a dam will be installed in order to preserve the natural site of the settlement of Saraishyk, we will start restoration work. One hundred million tenge (US$319,400) was allocated for the restoration work; this is the first stage. Each year step by step, we will move forward,” said Minister of Culture and Sports Arystanbek Mukhamediuly. Saraishyk is located on the right bank of the Ural River, 55 kilometres from modern Atyrau. The ancient settlement measures more than 100 hectares, according to archaeologists. The biggest challenge for the work is the fact that most of the ancient settlement has been destroyed by the river’s floods and a modern Muslim cemetery with new burials was built on the surface. Due to the change in the river channel, the shore washed up and the remains of the ancient city’s ruins were submerged, according to the ministry. As a result, structures have disappeared forever, taking valuable items with them. Each year, the Ural destroys about five-seven metres of the coast where Saraishyk is located. To solve the issue, 1.6 billion tenge (US$5.1 million) was allocated earlier from the Atyrau region local budget, according to Kazinform. Mukhamediuly added the dam construction, which will protect the settlement, is almost half completed. “About half of the works have already been done, despite the winter time. As soon as the construction works that are needed for restoration work are completed, we will start restoration work,” he said, adding that archaeological excavations will be carried out before the restoration to find the most significant parts of the ancient city. “The excavations will be guided by academician Zeinolla Samashev. There is no need to cover the whole city with restoration work. Archaeologists should establish the main streets of the city, as well as where the central streets and the eastern and northern gates are,” he added. Saraishyk is officially dated to the 13th-16th centuries. 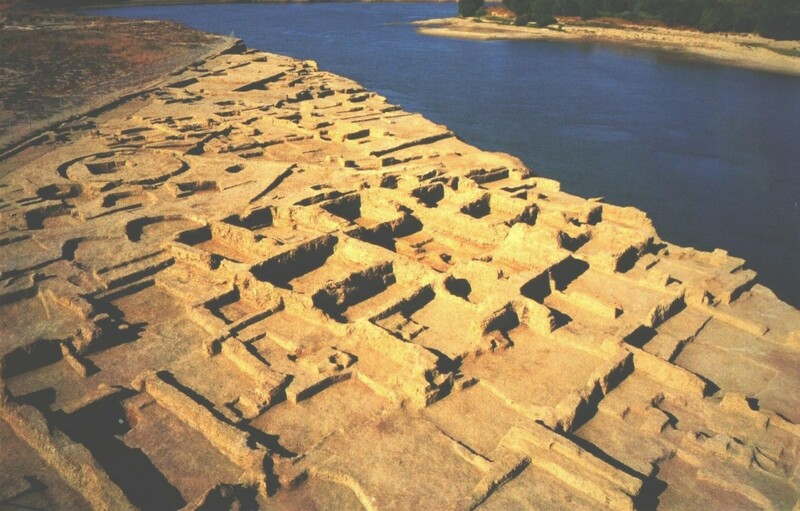 Based on the results of archaeological research, during its existence the city was an important trade and cultural centre on the Silk Road and its roads connected the East and West. This is evidenced by the numerous objects of everyday life discovered during the excavation, such as ceramic items decorated with various texts of Arabic script, as well as fragments of bowls made with Chinese porcelain and a large number of objects created from bone, iron and bronze. The rich numismatic material testifies to the development of active trade in the city.